MARQUETTE – Northern Michigan University employees, Michael G. Hellman and Paul N. Kyto, have been honored for their energy conservation programs by the State Physical Plant Association. Hellman, assistant director of facility operations, was named energy manager of the year by the association. Kyto, heating ventilating air conditioning specialist, received honorable mention in the technician category. 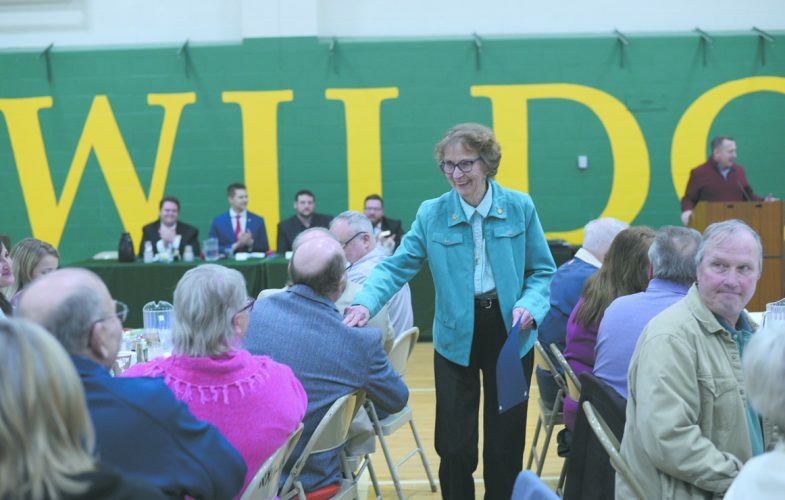 In charge of NMU’s energy conservation program, Hellman is credited with saving NMU more than $10 million in energy costs over the past 15 years. Kyto was cited for outstanding service, calibration and operation. He is involved in NMU’s ice-heat recovery equipment, which saves $26,000 annually by capturing waste heat from NMU’s ice surface refrigeration equipment to heat swimming pool water. ISHPEMING – The old Ropes gold mine near here, which produced about a million dollars in yellow metal during about 13 years operation before the turn of the century, probably will be reopened next year as a tourist attraction. The mine has been purchased for that purpose by Arcadian Copper Mine Tours Inc. from two Ishpeming men, realtor Joseph Paul and lawyer, Edmund Thomas, who obtained it from Calumet & Hecla Inc. last December. The Ropes gold mine, operated by Ishpeming druggist and chemist Julius Ropes from 1881 to 1897, is believed to still hold about five million dollars worth of gold reserves. However, it probably would cost more to get the gold out than could be realized from sale of the product.